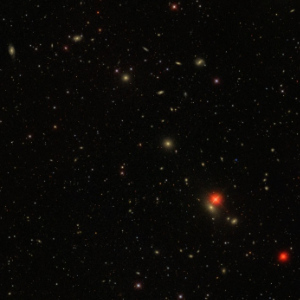 1 April 2019: New Galaxy, Double Star, and Picture of the Month. Scroll down to take a look. 26 March 2019: New observation from David Davies: NGC 6934 and NGC 7006. 1 January 2019: SkyTools file for DSF Object of the Week 2018 available. The Webb Deep-Sky Society has a wide range of publications on offer. Our latest publication is the Atlas of Open Star Clusters for which we have a PDF sample of the content for you to download. The date has been set for Saturday the 15th of June 2019 at our normal venue: the Institute of Astronomy in Cambridge. There's no need to book in advance. Member or not, you're all welcome to turn up on the day. The planning is underway and there'll be more to come, so keep an eye on the Annual Meeting 2019 page. You can now join the Webb Deep-Sky Society online using PayPal. Options include Paper and PDF versions of the Deep-Sky Observer journal, or PDF alone for a reduced price. Perhaps you'd like to join our groups.io mailing group? Access is limited to members, but you're all welcome. 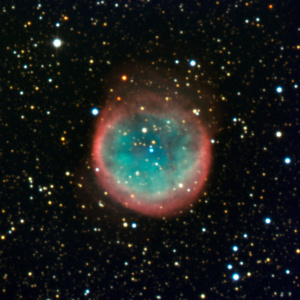 This image was provided courtesy of www.capella-observatory.com. 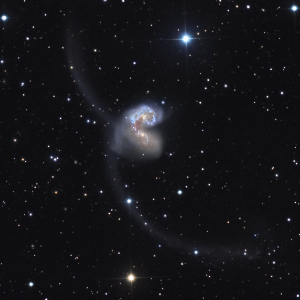 A recent galactic wreck with spectacular consequences for star formation in this pair. Another challenge for large scope observers. A large galaxy group with many background friends, but you'll need the best skies. Wolfgang Steinicke would appreciate your observations of NGC 6781 for his Object of the Season column in the Deep-Sky Observer. Bob's starting off with a real challenge for large scopes in Canes Venatici. 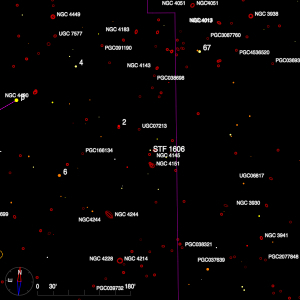 Then it's south to Virgo for a wide binocular pairing.